You also discover the locations at the edge of a beautiful lake Vosges. natural setting and quality services are available within 5 minutes of the Pearl of the Vosges. Hiking, sightseeing, water activities at your convenience. 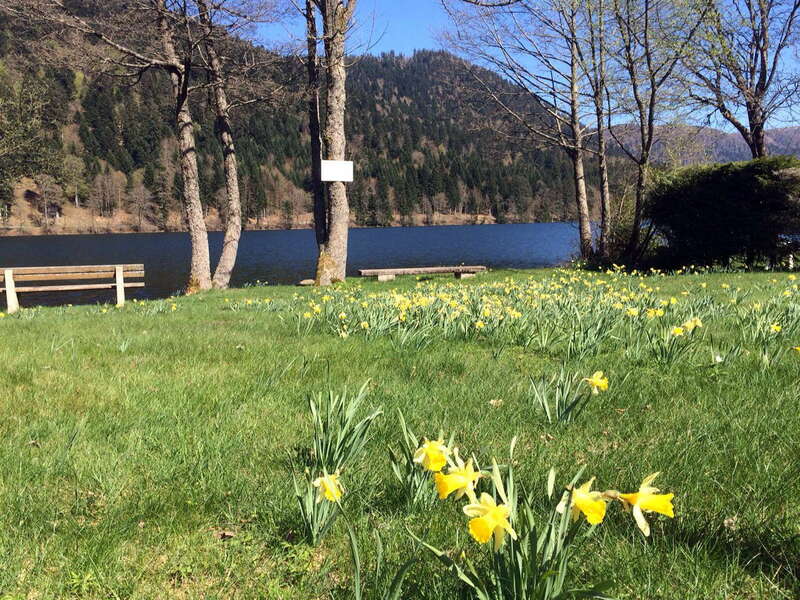 Camping Daffodils is located in Xonrupt longemer at an altitude of 740 meters for a 4 hectare superfice accommodating up to 228 seats demarcated from 90 to 110 m². This is a campsite without mobile NATURE Home. 228 places demarcated from 90 to 110 sq.m. Superette, Snack, Bar open all days. Evenings themed concerts during the season.